This 35mm wide-angle wonder is a blank canvas of a camera that invites you add your very own design to it. 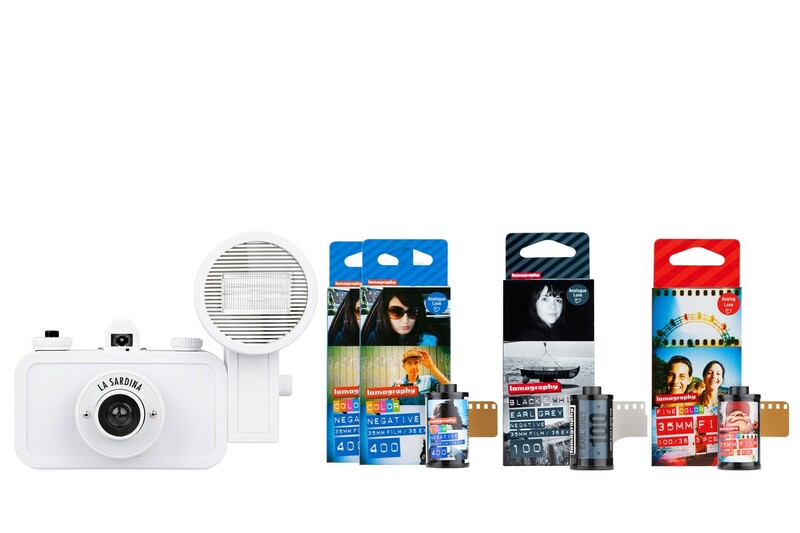 Complete with a Fritz the Blitz 2.0 Flash and a ton of experimental features such as a multiple exposure switch and a rewind dial the La Sardina and Flash DIY will be your favorite new creative companion. Get monochrome and moody with a pack of Earl Grey B&W 100, achieve vibrant colors and stunning sharpness with 2 packs of Color Negative 400 and 1 pack of Color Negative 100 35mm films and save 15% with this bundle!